Incredible plant. From way back in week 3 she was showing signs of being a monster plant. Plenty of good light, a big 38 Litre airpot and some 20-20-20 fertiliser and she makes a huge plant. Over a pound of good buds from an autoflower in 18 weeks!!!! I missed this little one!! She will go straight in for dry ice hash. Works fab to break down old roots to provide nutrients. Still got the main cola to do, got sidetracked doing other projects. But it will be done in the next couple of days, then to dry it all!!! Sorry this update has been a while coming, i promise it's worth the wait. This plant is totally incredible. 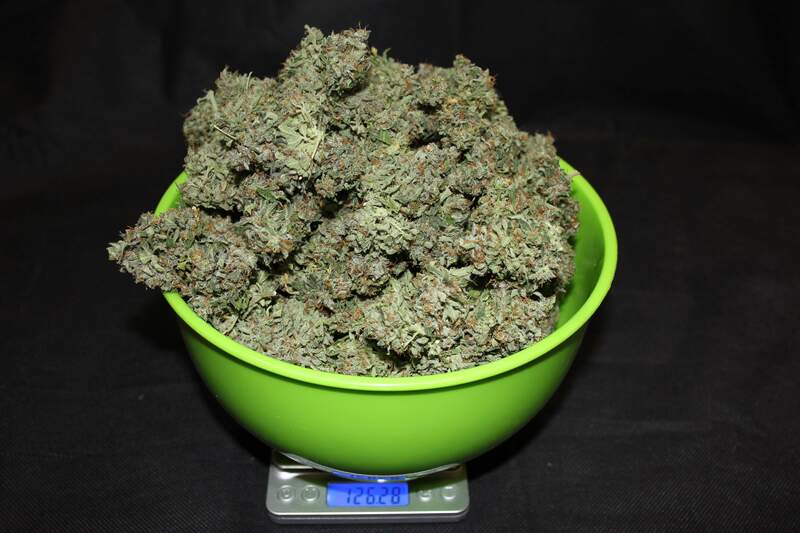 All lower buds apart from the main colas weighed 9oz... I was thinking another 2+oz main colas and nice buds. Well they was over 9oz too. Over 18oz from a single autoflower plant. Incredible, just incredible. Patiently waiting on your, final weigh-in !!! @TheBudWhisperer, I'd love to know the ins and outs of the commercial breeding process. 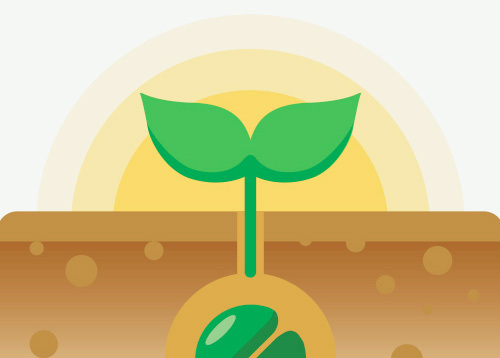 How the seeds from each plant get 'treated'. Are they kept separate or mixed with seeds from other plants. I have another 4 of these seeds to run but it will be a while until I will need to grow another LOL. But it will be interesting to see what the others turn out like. Unreal. Not much else I can say. Cannot wait to join you smoking some Pinapple! Mine will be ready in 2 weeks. Praying the harvest is even half of yours! @TheIceCreamParlour, Dude yours looks gorgeous! Don't be afraid to go a week or two over what you think. She is very sativa dominant and sativas have a longer flowering time :wink:. @Dunk_Junk, Totally agree. They are having a week over what I originally planned. I see you finally landed that jumbo jet! Sorry guys but i grew few plant in my life and there is no way this girl is 500gr dry weight. I just can't see the point why to lie, and put wet fresh buds in a jars like it a dry cured bud. This girl is 150gr max in dry bud. But still very good result for autoflower. @smoking_hills9, Hahahaha! :joy: :joy:Thanks for your backhanded compliment. All I am saying, is that half a kilo, I used to have from 2 m tree, outdoor. And trust me I know how half a kilo of dry bud looks like and it's nothing like on your pics. I think u just confused wet and dry weight. @smoking_hills9, No I didn't confuse wet and dry weights. I never weigh wet because I think it's pointless.